Changes in the Bundesliga as clubs try to avoid the drop. • Cagliari appointed Gianluca Festa as coach until the end of the season, replacing Zdenek Zeman who stepped just a month after returning for his second spell of the campaign with the Serie A strugglers. • Bayern Munich B-team boss Erik ten Hag will take over from Robert Alflen as coach of Dutch side Utrecht at the end of the season. • Bundesliga strugglers Hanover appointed Michael Frontzeck as coach for their last five games of the season after sacking Tayfun Korkut. • Stephen Keshi signed a two-year deal to coach Nigeria for the third time. He won the African Nations Cup in 2013 and later returned on a match-by-match deal, which ended in November last year after failure to reach the 2015 tournament. • Former Mainz boss Thomas Tuchel will replace Jurgen Klopp as coach of Borussia Dortmund on July 1. Tuchel, who took charge of Mainz a year after Klopp left the club to join Dortmund in 2008, has been out of work for a year after taking a break from the game. 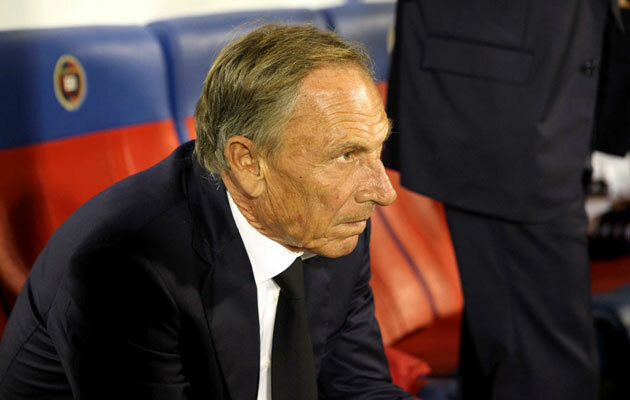 • Cagliari coach Zdenek Zeman stepped down just a month after returning for his second spell of the season with Serie A relegation battlers.